Poet, teacher, essayist, anthologist, songwriter and singer, Naomi Shihab Nye is one of the country's most acclaimed writers. Her voice is generous; her vision true; her subjects ordinary people, and ordinary situations which, when rendered through her language, become remarkable. In this, her fourth full collection of poetry, we see with new eyes-a grandmother's scarf, an alarm clock, a man carrying his son on his shoulders. Naomi Shihab Nye, poet, essayist, anthologist, has been a recipient of writing fellowships from the Lannan Foundation, the Guggenheim Foundation and the Witter Bynner Foundation/Library of Congress. Author of more than twenty volumes, her recent books include Mint Snowball and 19 Varieties of Gazelle: Poems of the Middle East which was selected as a National Book Award finalist in 2002. 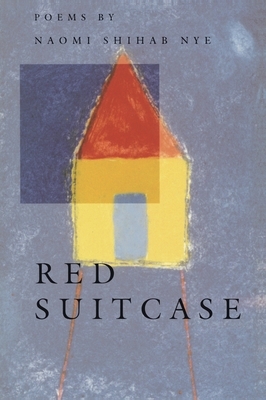 Her books of poems include Fuel (BOA Editions) and Red Suitcase (BOA). Nye's work has been featured on the PBS poetry specials NOW with Bill Moyers, The Language of Life with Bill Moyers and The United States of Poetry . She has read her work on National Public Radio's Prairie Home Companion. Poetry editor for The Texas Observer, Nye has worked for as a visiting writer in schools at all educational levels. She lives in San Antonio, Texas.